When trying to decide on which individual health insurance plan to choose, make sure you look closely at all the plan benefits. One of the most expensive parts of health care is emergency room and hospital services. The average overnight stay in the hospital can reach over $10,000. Also, even visiting the emergency room for a few hours can cost you thousands. Although you can’t plan when these unfortunate events might occur, it is important to pick an individual health insurance plan that has the right benefits in place in case you need them. Some health insurance plans have great office copay benefits and while having weak prescription benefits. Other plans are strong with ER and inpatient benefits but weaker when it comes to visiting your doctor. 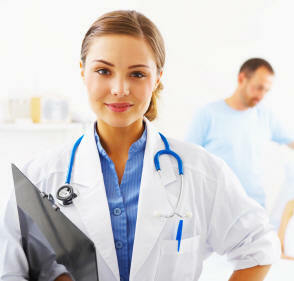 It is very important to look at the benefit details page for each health insurance plan you are interesting in. This is where it will give you details on what it will truly cost you when catastrophic events occur. Previous Entry: I Just Got Denied Health Insurance: What Should I Do? Next Entry: Do All Individual Health Insurance Plans Have Maternity Coverage? Previous Entry I Just Got Denied Health Insurance: What Should I Do? Next Entry Do All Individual Health Insurance Plans Have Maternity Coverage?